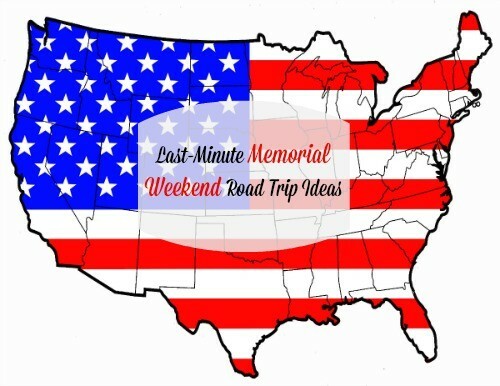 Are you planning on traveling this Memorial Day Weekend? Our family of five is loading up and jet setting to Denver, Colorado and we couldn’t be more excited. 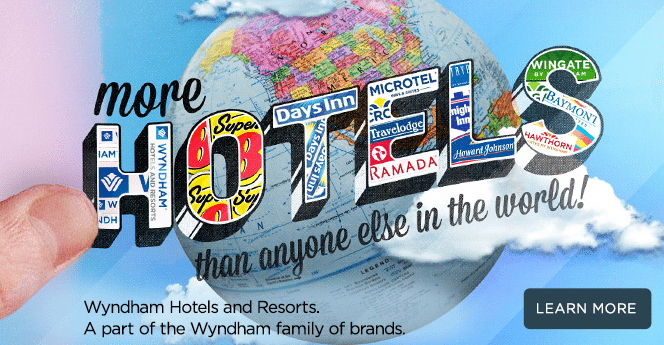 Have you ever stayed at a Wyndham Hotel Group place before on vacation or maybe on a work trip? We did recently and were very pleased with our entire experience. It was for work/pleasure and from the hostess making us a fresh pot of coffee to our room being extremely comfortable; it was definitely a place we plan to stay again. If you stay 3 nights or more at a Wingate by Wyndham or Ramada, you will receive 20% off your stay. This is perfect for Memorial Day Weekend! Leave Friday and stay Friday night, Saturday night and Sunday night; returning Monday. Now…where to go on your weekend get away. Whether you want to reconnect with family and friends, plan an escape for that special someone or even getaway by yourself; these destination ideas will help you come up with the perfect weekend getaway. · Washington, D.C. – What better place to be patriotic than the nation’s capital? Events in the area include the National Memorial Day Concert and the National Memorial Day Parade. · Atlanta, GA – Take a trip over to one of the nation’s largest free festivals: the Atlanta Jazz Festival, then head to nearby Stone Mountain Park to celebrate with fireworks and hiking any family or outdoor enthusiast is sure to love. o Perfect for last-minute trips from: Savannah; Charleston, S.C.; New Orleans; Nashville; Charlotte, N.C.; Orlando. · Palm Springs, CA – If you’re looking for a beautiful landscape with warm temperatures this holiday, nothing can beat Palm Springs!Joshua Tree National Park offers hiking and rock climbing. After exploring the desert splendor and stargazing, stick around for theMemorial Day Flower Drop & Air Fair at the Palm Springs Air Museum to commemorate our fallen troops. o Perfect for last-minute trips from: Los Angeles, San Francisco, Phoenix, Las Vegas. · Denver, CO –The Downtown Denver Arts Festival showcases over 135 local artists during Memorial Day Weekend. Take a trip over to the Denver Day of Rock to enjoy some free music from over 20 bands. o Perfect for last-minute trips from: Salt Lake City; Albuquerque; Las Vegas; Kansas City, M.O. ; Phoenix; Dallas; Minneapolis. · Chicago, IL – The Windy City offers everything you could want for Memorial Day weekend. Enjoy the Memorial Day Parade along State Street Saturday afternoon, and take in the fireworks at Navy Pier that night. If you want to incorporate some fitness into your weekend, take part in Bike The Drive on Sunday morning, when Lake Shore Drive will be open to bicyclists only. Are you traveling? If so, where to? !